An easy way to calculate the amount you need to invest in order to achieve all the milestones you have set for yourself. An easy way to calculate the amount you need to invest in order to achieve the milestones you have set for yourself. Calculate your tax liability and find the best investment plan for you. 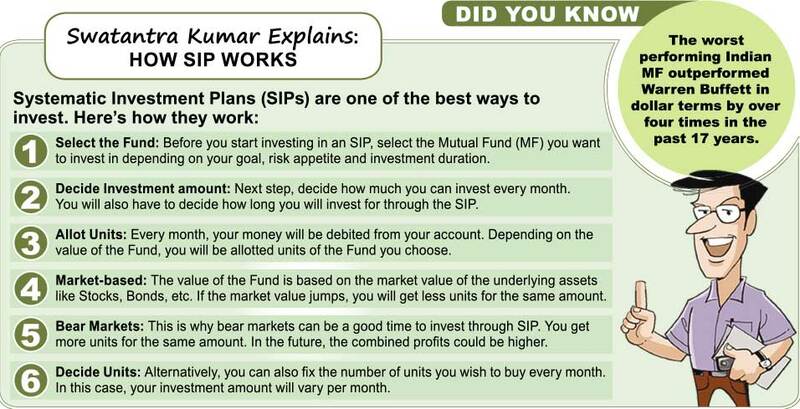 Our Systematic Investment Plan (SIP) Calculator lets you figure out how to create wealth in the long run by investing in small amounts periodically. Assess your appetite for risk and find an investment suitable for you. Calculate the amount you need to invest to retire with ease using our Retirement Calculator.